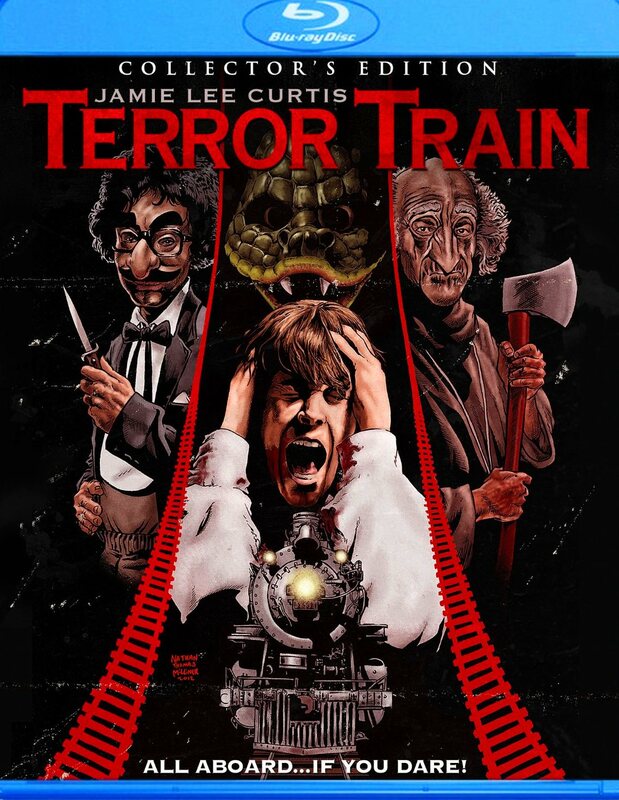 Cinema Sunday: Terror Train (1980) | Magazines and Monsters! 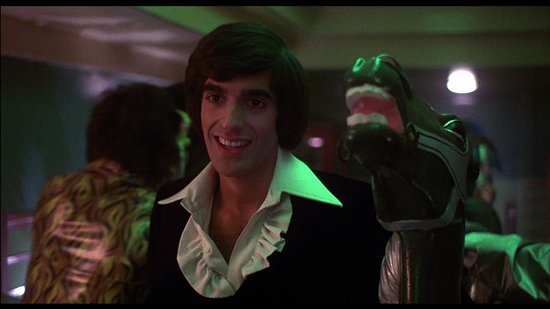 Welcome, to my first (of many hopefully) movie review on my new blog! You know, I’d planned on doing something a bit older than this movie, but I started watching this one for the thousandth time, and thought, “hey, why not?” It’s not the most elaborate plot, and not the best acting, but it still holds up for slasher fans around the world. The evidence being its recent release to Blue-ray (above)! The film begins at a frat party, and we see a few friends, Alana (Jamie Lee Curtis), Mitchy, Doc, Mo, and Jackson, as they pull a prank on another student. Well, the prank has an adverse effect on Kenny, and it sends him to the psychiatric hospital. Fast forward a coupe of years later, and the friends are taking a trip on an excursion train as part of a graduation party. The costume party doesn’t even get started though, as one of the group is killed before boarding the train. The rest of the students think nothing of it though, as he’s the class clown type. As the train gets moving, the typical drinking, smoking, and all around craziness ensues. The killer assumes the disguise of his victim, so no one notices anything out of sorts. He begins to systematically eliminate students, and Alana begins to realize that the group that pulled the prank years earlier is being targeted. Alana attempts to get the help of the other students and the conductor to investigate who the killer might be. As the train ride keeps going, the bodies pile up, and then only Alana remains. She thinks she figures it out, and the blame shifts to the magician (David Copperfield) that was hired for the party. The students are taken off of the train out in the frigid, wooded area, and the train is searched by the conductor (Ben Johnson) and his crew. They find nothing, and force the students back on to the train, because the temperature is well below freezing, so staying out there isn’t an option. Alana wanders into the magicians compartment, and discovers his body, impaled by his own swords. After a while, even the crew of the train begins to be slaughtered, and it’s up to Alana and the conductor to figure out who’s doing the killing, where and when he’ll strike next, and ultimately, how to stop him! OK, thoughts on this film are as follows. Overall, the film is a good slasher flick. It has everything you could want if you’re a fan of this genre. Unfortunately, if you’re not, you’ll probably think it stinks. Personally, I think it holds up well, and I can cite two reasons. 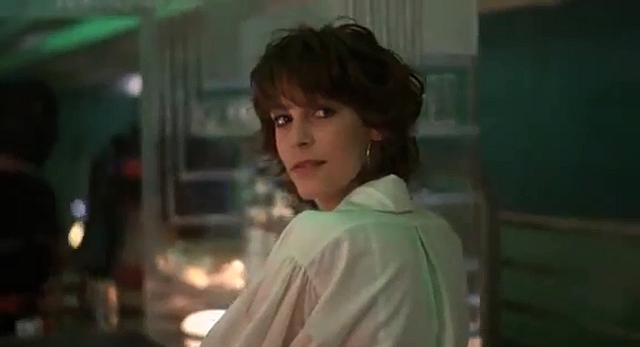 First, Jamie Lee Curtis. She’s a great actress for flicks like this, and obviously, she expanded her roles and abilities over the years. Honestly though, I think her talents lie in the horror genre, and lets face it, you don’t get a nickname like “The Scream Queen”, for being miscast! 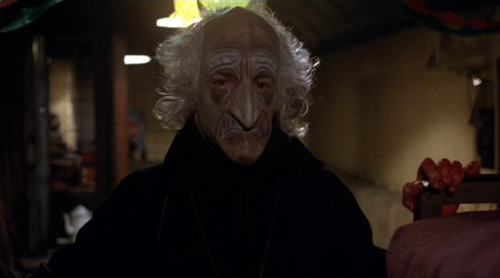 Secondly, the film definitely has a creepy factor to it, that is still…well, creepy! So, while the earnings at the box office were modest, if you like slasher films, but haven’t yet seen this one, grab a copy!